Here at F.C. 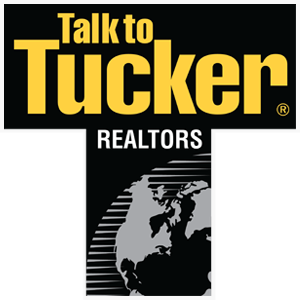 Tucker/Tomlinson Realtors, we are dedicated to setting the standard for leadership and customer service in the Kokomo, Tipton, Peru, Russiaville, Greentown, and Galveston real estate market. We have extensive knowledge of each of the communities located in Kokomo, Tipton, Peru, Russiaville, Greentown, Galveston and surrounding Howard County, IN areas and will work tirelessly on your behalf to make your next real estate buying or selling experience a pleasant and successful one. Our services include working with both buyers and sellers in a wide array of real estate markets including residential, commercial, land, and other related property types. We maintain the highest possible standards and provide our clientele with a complete real estate solution. Our company provides real estate agents dedicated to serving your every real estate need. At F.C.Tucker/Tomlinson Realtors,our agents are committed to providing a superior level of service in order to ensure the smoothest and most beneficial outcome to each and every real estate transaction. Our agents maintain exceptional knowledge of the local real estate market, outstanding negotiating skills, and the experience necessary to give you the service you deserve. Professionalism, dedication, and knowledge make F.C. 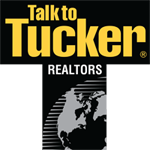 Tucker/Tomlinson the perfect choice when selecting a real estate professional. At F.C. Tucker/Tomlinson, we find that providing outstanding services for our buyers includes combining superb area and market knowledge with experience you can trust. For buyers looking for homes, or other Real Estate, here in Kokomo or other surrounding communities around Howard County, IN, we will work with you to find your ideal home through the employment of a wide array of resources. From free online access to search every home in our market to our dream home finder form, we will make sure all your real estate buying needs are met for all Kokomo, Tipton, Peru, Russiaville, Greentown, and Galveston, area homes. In addition, once we've narrowed down your search to the ideal real estate you are looking for, we can begin the home showing process so you can get a closer look at the homes that should be a good fit for you. Once this has taken place, we will utilize our outstanding negotiating skills in order for you to receive the best possible price for your new property. We look forward to serving all your real estate buying needs. By filling out the above form, there is absolutely no obligation. This is a free service we offer to buyers and sellers in Kokomo and its surrounding areas. Our goal is to fulfill your real estate needs. One of our agents will get back to you in a timely manner with tips on buying or selling a home in Kokomo and its surrounding areas.